This is by far the best that Campbell & Co. have produced.The text reads easily and with great clarity.The difference of this 7th edition over previous editions is significant, and nearly worth the price.However, paying nearly $150 for a text is ridiculous.The publishers obviously think they can command such a premium because this text is so closely linked with the current American public high school's Biology Advanced Placement test.In short, they feel they have taxpayers over a barrel on this and can 'get away with it'.Shameful.Also, Campbell and Reece are radical evolutionists.Do not expect balance or 'both sides of the argument' presented on any of the more controversial aspects of Darwin's theory.There is no debate as far as they are concerned.Though 'spontaneous generation' was disproven by Louis Pasteur and Francisco Redi over 150 years ago, Campbell and Reece cling to this notion with strange, obsessive passion that borders on the bizarre.Their arrogance on this important issue strongly detracts from what is an outstanding, and otherwise balanced resourse.Why not address some contrary points of view to Darwinian evolution and even (gasp!) admit many of the more infamous errors by overly enthusiastic biologists in the past (e.g. the "Nebraska Man" of the Scopes Monkey Trial was actually only two teeth; the "Piltdown Man" was a hoax that was taught as fact in American universities for nearly 40 years, etc...).Such arrogance quickly leads to blindness, and has no place in real science. But, in spite of these confusing departures from real science (science being that which is both observable and testable), the text has some outstanding qualities that make it one of the premier sources in the field. 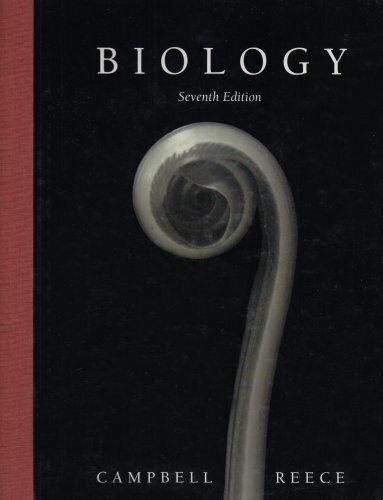 This certainly is the definitive word for biology students.The 7th edition reads faster, with more clarity and interest, than the previous edition by far.Does this warrant the outrageous price ?Doubtful, but since public schools (i.e taxpayers) are footing the bill for the most part, the publishers do this with relative impunity.This latest edition has stunning photos and graphics, and these add greatly to the text's readability.The chapters are short and concise, and the review questions and self-test items are excellent.The CD Rom that accompanies the text is also excellent and highly recommended.The optional study guide is not however, as it has a thoroughly mediocre quality and superfluous nature.Of even greater offense is the "pay per view" website that is offered for additional resources.After paying $100 for a text, and then be expected to pay more for Web assistance is unabashedly mercenary.However the objective reader will find Campbell & Reece's greatest flaw in its blatant bias concerning the theory of evolution.The 'theory' is not treated as such, but as an obvious fact, with no contrary points of view to any of the controverisal aspects of the theory included whatsoever.This is no small matter.Campbell and Reece simply assume that the spontaneous generation of life indeed occurred at some time in the Earth's past (though this has never been demonstrated experimentally--ever) and that DNA and RNA rose via the random chance of fortuitous collisions of molecules over time, (again, with no experimental evidence to justify these claims), the serious reader must earnestly question why the theory is presented in each chapter with an almost obsessive fervor. This is a lovely textbook. It is very up-to-date and well organized. It ihas full-color printing throughout the text and great self-assessment questions. The CD-ROM (included) also has many helpful resources. I am a pharmacist who is also very interested in how diet and exercise maintain people's health.Michael Pollan's book was an incredible eye-opener.I first heard him interviewed on Science Friday on NPR news (podcast) and decided to read his book.It is an extremely well researched book with an entire source list in the back.It is also very entertaining and easy to read.It is obvious he has a great sense of humor.His book encompasses the economics, politics, biology, ecology, and physiology regarding our current american diet.His book has surely changed the way I think about food and I was fairly well versed before I read his book.Now, I am a member of a CSA (Community Supported Agriculture) and have been spreading the word! This is one of the best and most influential books I have ever read. Everyone should read it.Ignorance is not bliss.Just ask some of my pharmacy customers who have side effects from the medicines they take and have to spend hundreds to thousands of dollars on those same medications. I'm about halfway through this book (I've been kind of skipping around to various parts--which is how I usually read non-fiction books). Modern agriculture, factory farming, and where our food comes from are all subjects near and dear to my heart. These are topics that only people in the industry or professionally trained chefs (which I am) usually know and care about. I don't think veganism/vegetarianism is a good response (and I don't think it will fix anything). Instead, we need to be voicing our displeasure with our dollars. 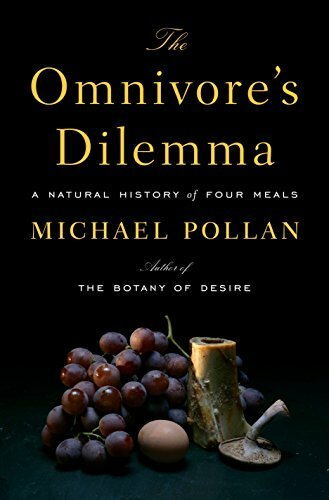 The Omnivore's Dilemma is an exploration into the foods that are on our plates and why. The answers he delivers are at times frightening. Yes, 1616 pages and 2 inches thick of madness can be intimidating, but this book is sheer awesomeness in lots of ways. 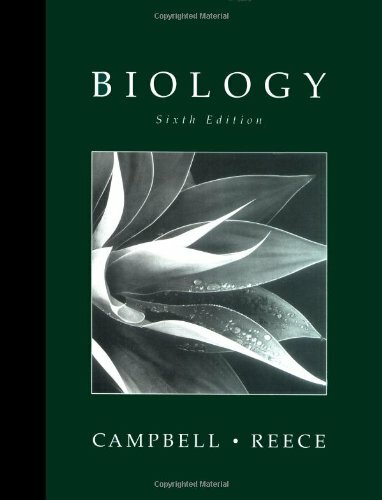 Whether you are self-taught, actually taking the class, or just want a desk reference for cell bio, this is definitely the one to get. 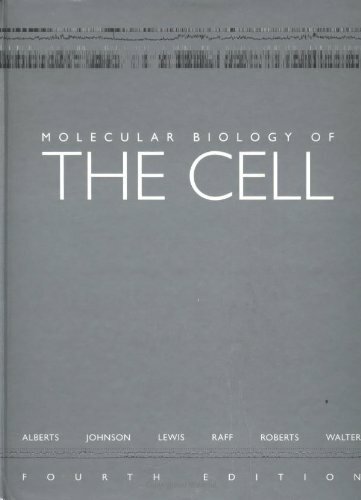 This is a beautifully written textbook that presents the canonical version of what is currently known about cellular biology at the molecular level.The illustrations are clear and the text is easy to follow.The only shortcoming of the book is that, necessarily, it stays above the messy details in order to maintain clarity.The result, inevitably, is that some areas are glossed over (transcription activation is one example, but there are many others) and some areas appear to be understood when in reality there is a great deal of disagreement (for example, gene splicing).But these omissions are appropriate because the intention of the book is to provide an overview, not a specialist in-depth examination of every topic.This is a great primer for college students or educated people wanting to know just a little more detail about how life works. Will not help at all!!! This book was the required textbook for my organic I and II class...and it didn't help with either. If you didn't understands something the way the professor explained it, the book provided no help. The explainations in it were very short and were of no help at all. Most of the time the examples were too simple to really teach you anything. This is a very elementary textbook, that doesn't seem worthy to me of a place in any college or university. This text is an easy read, and you will understand the reactions that are given in the text examples. So why the low rating? Organic chemistry is all about "prediction". And when it comes to teaching you how to predict the outcomes of reactions you've never seen before, it is lacking! You can study this text two hours a day, every day, and unless you have an uncanny ability to understand chemistry (I don't)--you will still not have this most fundamental skill you need to succeed.Try "Organic Chemistry as a Second Language" and "Organic Chemistry II as a Second Language".They will have you predicting and understanding Orgo in no time!! This course isn't hard at all- once someone explains it to you properly. David Klein (the author of those two books) does that beautifully. 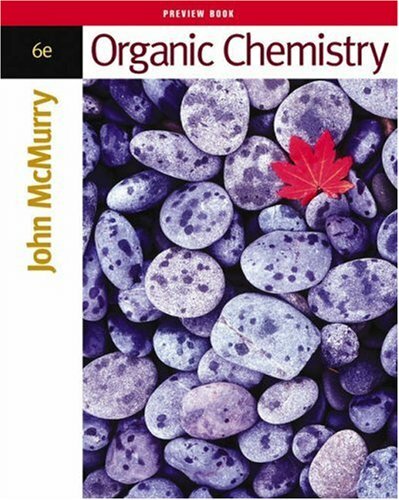 Mcmurry is a colourful and over-generalized textbook that presents the most fundamental concepts of organic chemistry without fully elucidating on their logic. Mcmurry's style is to induce learning of 0-chem via memorizing of reaction mechanisms, and other trivial components. This fourth Tufte title continues his themes of pairing image with text, focusing on how information can be transmitted graphically and focusing on 'sparklines': data-intense, word-like graphics. Perhaps it's impossible to adequately describe this concept using plain print: for more, you need to see BEAUTIFUL EVIDENCE, blending cartography, diagrams, science and art in a winning survey of measurement-based images. I for one am the opposite of the people who read this and, as fans of Tufte's other works, felt let down.There seem to be a lot of complaints about recycled material.Yes, a lot of stuff in here is found in his other books.Yes, his whole Cognitive Style of PowerPoint pamphlet is reproduced here (I think? ).No, I don't think that's a problem and in fact I think this is his best work ever. I was disappointed by "Beautiful Evidence". It seems to me to be a medium primarily for the reproduction of many gorgeous drawings, graphs, and tables done by others and the author, and an opportunity to make a rant on PowerPoint. Yes, many bad figures have been created and Dr. Tufte has made valid points and good suggestions, but they are not as densely presented as one would expect from his own words. I am highly pleased with my purchase. The item is in wonderful condition and the delivery was FaSt! Wow. Great Experience! 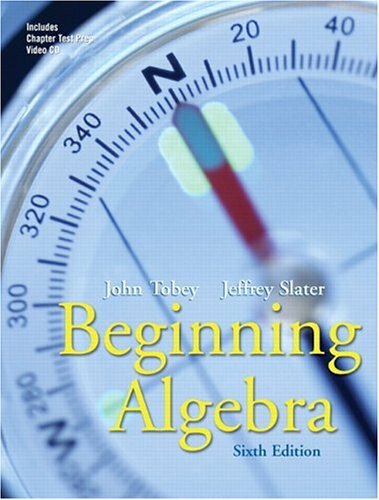 Tobey and Slater's 'Beginning Algebra' text is used by my college where I tutor mathematics in the first course in Algebra, often the first course in Algebra many of our students have ever taken.It is very much a beginning course, as the course itself carries no official 'credit' (it is a zero-level course, as a prerequisite to other science and mathematics courses, that many students place out of on the basis of assessment scores). You can do better than this! 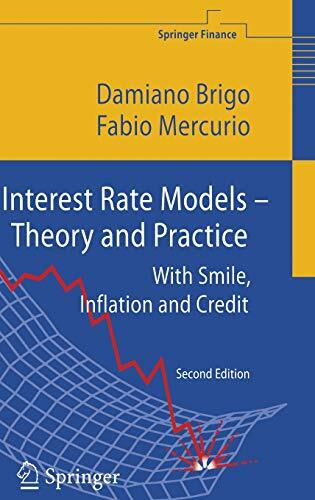 This is the best book available on interest rate models. Very detailed. Much more focused and readable than Rebonato's book. More pragmatic and explicit than Musiela and Rutkowski. Not as theoretical as Hunt and Kennedy. James and Webber also looks very good, but I'm not that familiar with it. All other books have only bits and pieces on interest rates. With all the due respect to the other authors I would say that if one is interested in a good theoretical book whihc is also good on the implementation side then the book of Brigo and Mercurion is definetly the best book I have ever read on the subject. New stuff and nice overview: hard to beat! 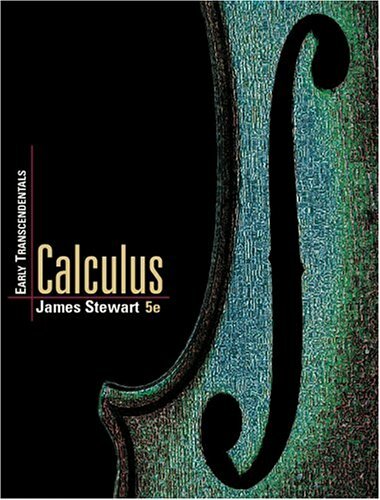 The book has a great structure.It connects well to bring a person to advance his math skill into college-level.The structure is great and easy to follow.The proofs are clear.Different from most of math textbooks where examples are easier than exercises, this book provides the same level of difficulty on both.Although the author starts skipping proofs in multivariable calculus, he explains the reason.My recommendation is that he tie-up the structure in multivariable calculus portion.It definitely will be a 5-stars book. Blink twice if you love it! 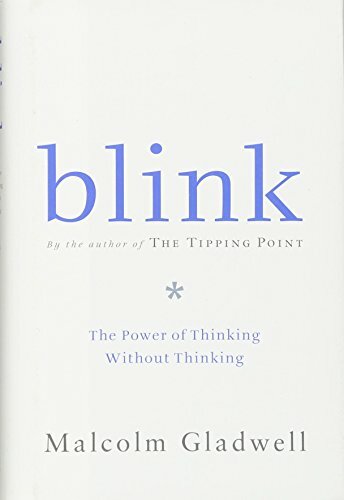 I blink twice all day long.I read this book in just one sitting, I could not put it down.To see how success is tied to a subconscience level of thinking is so right on.It is well written, very entertaining, and very eye opening. Gladwell writes well and the book is interesting. I read about half the book before I knew it! But I was jolted when Gladwell suddenly changed the focus of the book. In the first half of the book snap-judgments are good, then theyre suddenly bad. "What's up with that?" I asked myself. Entertaining-- a little bit thinly sliced. The Salon review of this book makes a remark that Gladwell's mission is to be entertaining, and not useful. I think that if you read this book in the spirit of that remark, you will not be disappointed. Let me preface this review with: I have a huge library of chemistry related books, of which books relating to name reactions has a prominent footprint. With that said, this is one of the most readable of its kind. Before this, I enjoyed the Jie-Jack Li name reaction book. However, as with all of them, it was just a reference manual. Kurti's, however, is a well thought out "text" with background on each reaction and color coded mechanisms. It is an excellent book for both beginners and PI's. Sick as it may sound, I actually purchsed a second copy for home as well as the office. My conclusion is that this is one of maybe 3 name reaction books that make a complete reference set. Un outil ideal pour apprendre les name reactions, etudier les mecanismes et trouver les references de la decouverte initial jusqu'aux toutes dernieres modification. Un livre tres utile autant pour les etudiants gradues que pour les organiciens aguerris. Beware! This book is no serious science book, it's no more than a paper-incarnation of a big poor joke.. The most incomplete engineering book ever. It's a good book it just askes me as a student to assume too much.Some of the problems at the end of the chapters are incomplete. 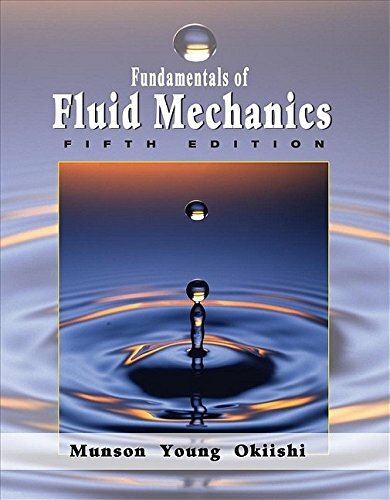 Excellent for starters in fluid mechanics engineering. I bought the book by mistake since I was looking for a more physical introduction to fluid mechanics. However, once I started reading, I could not stop. The book is a pleasure to read. Every concept is explained crystal clear. No single step is skipped. Almost every concept is illustrated with one or more very detailed solved examples. It is frequent in most technical books to find how the level of clarity degrades progressively as you approach the end of the book. This is not the case. Every chapter up to the very end is carefully arranged and the level is maintained. I bought this book for self study. It has ton's of examples that really help out. But like some of the other reviewers have pointed out... the book can be extremely confusing at times. That's when i reach for the solutions manual that goes with it. It has a step by step break down of the odd numbered problems. The break down's aren't 100% complete and they skip a lot of the algebra parts, but it shows all the calculus stuff. This book is one of the best general physics texts there is. Period. The author(s) took the time to clearly explain topics and answer all those little "Wait, why did you do this?" questions that other texts leave to you to figure out. I still go back to this book instead of Hibbeler's engineering series as the concepts are explained much more clearly and the excersizes are tough to make sure you really learn the concepts. Another great feature of this book is it's easy to understand writting style. Reading the book is just like having a professer explain something to you in person, not a mathenatician reading a theorem out loud, unlike say, Hibbeler. Very good choice overall. 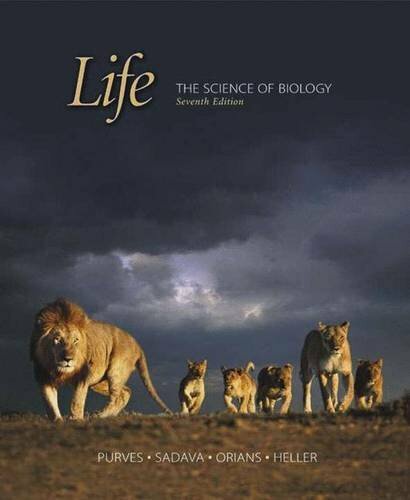 Ah, the holy grail of textbooks: To find a textbook that is completely clear, explains all aspects of the subject, lets you understand rather than just memorize so you can think independently on the subject and actually enjoyable to read.Textbooks like those are incredibly rare and they are worth their weight in gold once you find them.Looks like we found one for biology. I decided to buy this book instead of borrowing from the library because of the pretty colorful pictures it has. However, I regret spending $100 on this book because the text is poorly orgnanized. Although some chapters are written well, you will see content are scrambled within some chapters making it hard to take notes. There are also errors like they mentioned that Th cell help cellular response, but they ever tell you how. The activation gate and inactivation gate mentioned in the neuron chapters are confusing. The mentioned it on the text, but they don't show it on the pictures. 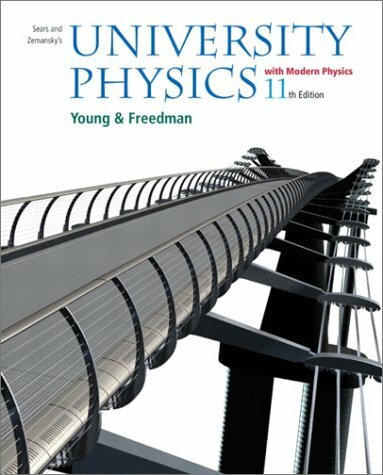 This book is extremely confusing and has too much distracting information.It's sad that many schools use this as their text on physics.There is little to no math in this book to assist you, yet the review sections expect you to know the math to do the work.How is that possible?Terrible book. This book is complete nonsense. It reflects an ever growing ideology among the so called 'pedagogs' who themselves never understood physics. It can not even be considered a physics textbook. The book pressums utter stupidity on the part of the reader, and it is painful to think anyone besides 5-year-olds can be forced to read this. 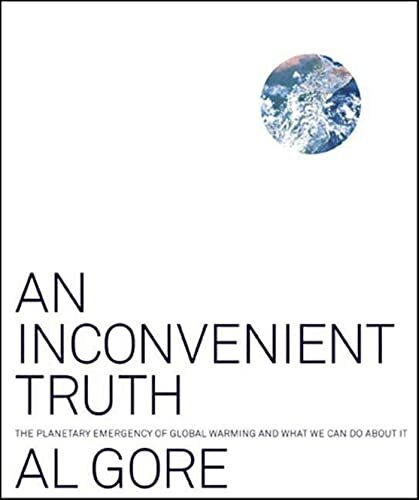 I've taught "conceptual" (fundamental) physics from this text at two universities and one community college.I have never liked the text - and this later edition has not changed my mind. (Don't let the catchy cover photo fool you. 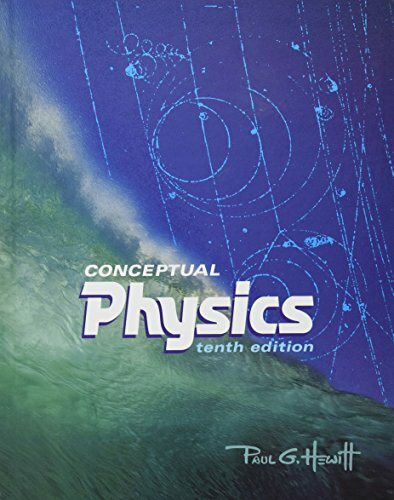 )Fortunately I no longer have to use the text.It is just too long and filled with too many topics for a one semester college level "conceptual physics" course.I don't think most college instructors who use this text ever make it through half the topics. I used this book in my General Chem I class a couple of years back and have since used it as a resource for my organic, biochem classes and MCAT review.The book was very easy to read compared to others and the examples were straight forward and easy to follow.The authors also attempted to include scientific/medical relevance to some of the issues covered.The most difficult chapter in the book to read is quantum theory; however, this topic is typically difficult for anyone to understand at first. This book has been a big help to me as a reference source to fall back on. especially the CD that came with it. 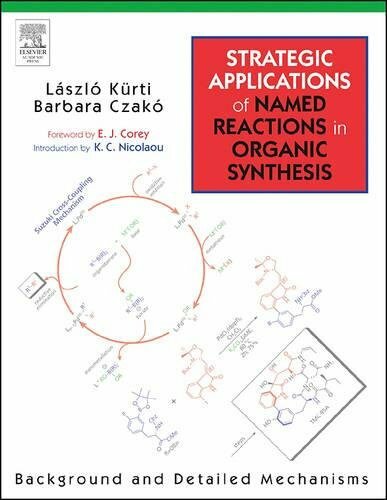 This book covers everything from thermo chemistry to organic chemistry. The website is somewhat insightful as well. 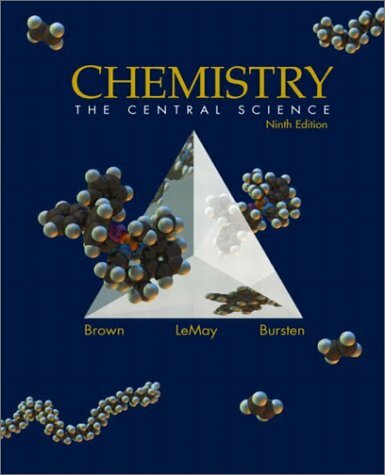 I am currently taking an AP chemistry class, and we use this book.The class is meant to be extremely difficult, accelarated, and in-depth.We cover 22 out of the 25 chapters; we do not do modern materials, chemistry of the environment, or coordination compounds. 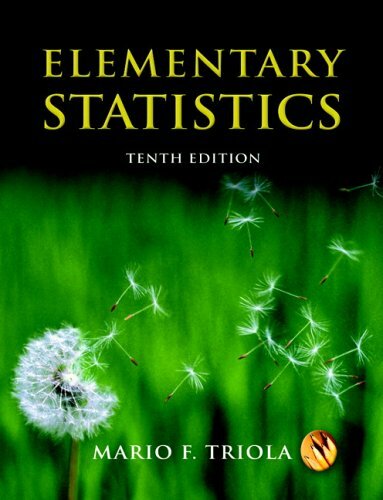 This book is really a masterpiece when it comes to explaining the concepts!The author makes sure that students don't just memorize formulas, but rather that they understand why the formulas work.I used this book to pass the DANTES statistic exam. This book is not very user friendly. 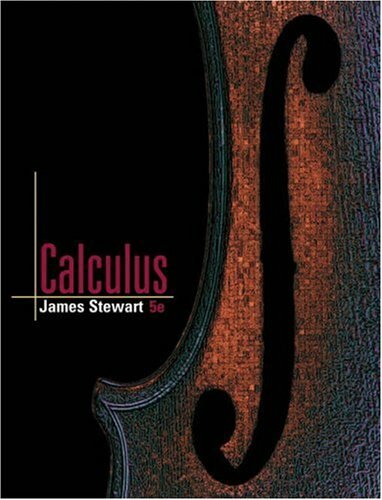 If you have troubles with math like me then this book is not for you. I would probably recommend a book like "for dummies, or a schuam's at the beginnnig level then reread this book, and it will be a little clearer. I was really suprise that it arrived on time so that i can do my homework assignments. The stats book came in good condition like what the seller described. Even though it didnt come with a cd, buti'm still happy knowing that it's an instructor's edition. I was so surprised when my sister pointed that out to me. I loved reading this book. It gave me a lot more to consider, subjectively speaking, with where my happiness comes from, and why. It's a great book, and a great read. I highly recommend it! Based on the reviews I ordered this book and starting to read it with a sense of anticipation and excitement.I was badly disappointed.The material Gilbertdealing with is interesting andobviously he is aknowledgeable. The big problem is thathis writing is almost a parody ofpopular science writing.I guess his editor told him to be personable and relate to his readers.What we gotinstead is a narcissistic, verbosenarrative an idea every five or six paragraphs, deeply buried inGilbert's accounts of his cigar smoking and other tidbitsdrawn from his tedious observations of own life. It seems that he has no respect for the intelligence of his reader who he feels he has to entertain withcute and trite commentsin every other sentence. 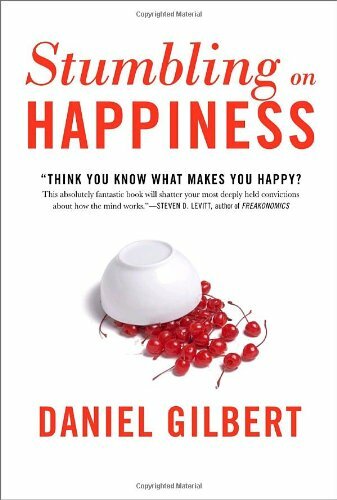 When you compare him to someone whoboth respects the intelligence of readers and knows how to write such as Daniel Goleman,you realize that popular science writing is a difficult art and Gilbert has no talent for it.